For this project we chose works of art by famous artists and made it a lesson on cooperation and working toward a common goal. 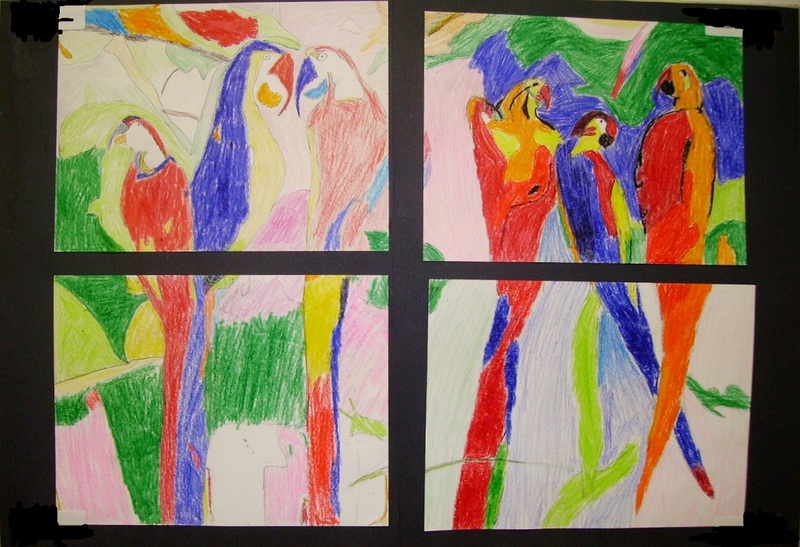 Four students worked together choosing the art, the medium, and the colors used. We started with two copies of the art: one was cut into four pieces, the other left as a complete work. For more pictures, and the directions for “Four Together,” go to the 6th Grade Projects Gallery in the sidebar. This entry was posted in 6th Grade and tagged 6th grade, art project with cooperation, art projects for kids, arts and crafts for kids, classroom art project, four in one art, four square art project, four together, together art. Bookmark the permalink.